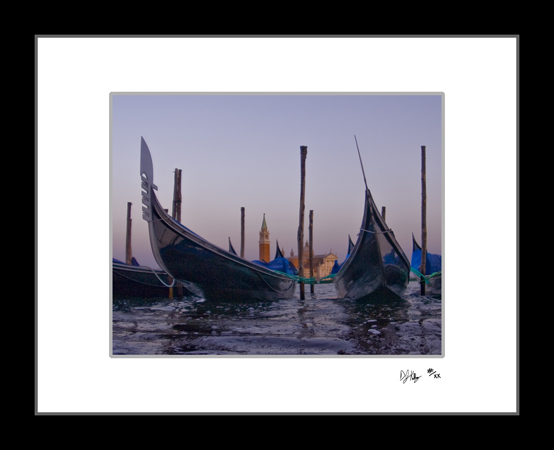 This fine art print captures the reflections off the gondalas just off Saint Mark's Square in Venice, Italy. The gondolas are one of the most known sysmbols of Venice and this photograph captures them reflecting in the hulls of each other. These black gondolas with blue covers were captured reflecting off the water.